BETTER PRICE. BETTER SERVICE. BETTER QUALITY. Serving the cities of Port Charlotte, Punta Gorda, Englewood and NorthPort the staff of Stockbarger Glass Inc lives up to their guarantee of a better price, better service and better quality. Our friendly, knowledgeable staff is here to help you. Our professional glass technicians have the training and experience to get the job done right. We can help. We are eager to offer solutions, make suggestions and assist you with this very important process. Regardless if it is new construction or a remodel. 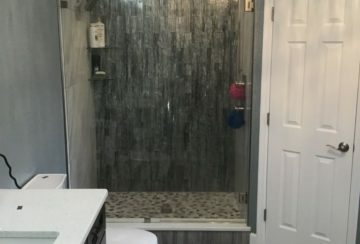 Shower Doors, Custom Glass, Mirrors, Windows and Doors – We have the quality products you need. Don’t forget about the screens, we are an authorized dealer of Phantom Screens. I needed to repair 3 windows in my storage shed and I could not find replacement ones so I brought the broken windows to Stockbarger. They looked them over, gave me an estimate and said they could have them ready 4 days. Not only did they have them ready when promised they even saved me some money from the original estimate! This company is awesome, they really go above and beyond to help their customers! I can't thank them enough for their professional customer service and great products! Received several referrals via Facebook for your company. Came out same day for a window pane replacement. Called ahead of arrival as promised. Repair team was fast and friendly. Will do business again if service is needed. Fast and professional service, I love my beautiful mirror with custom frame! Thank you. The industry-wide accepted tolerance and our cutting tolerance is +/- 1/8 inch. What are your glass quality standards? All glass contains various types of flaws or blemishes, which may be visible to the naked eye. This is unavoidable – even the finest raw materials contain minor flaws. The federal government mandates that no defects should be visible in the glass when it is viewed horizontally or vertically from 11 feet away under normal lighting. All of our glass meets these standards. 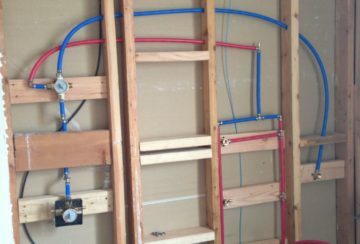 Can you help me measure for my custom glass needs? We are happy to have our professional glass technicians measure before the order is placed. Do you handle commercial glass work? What type of glass work do you do? It might be easier to tell you what we don’t do! Seriously, if it has to do with glass, we are here to handle it for you. We do residential repairs and replacements of all types. 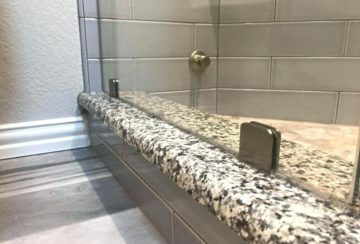 We can do tabletops, custom mirrors, glass shelves, shower enclosures and lots more.